DAY ONE: We will discuss the science of electricity and the student will learn atomic structures and energies produced during electron flow. The student will gain a better understanding of heat and magnetism. We will explain voltage and volt-meters. We will demonstrate how electricity is generated with a wire and a magnet. We will discuss the amp meter and amperage draw of the unit. We will apply these principles to the air- conditioning unit. The Electrical components deliver electrons from one place to another creating magnetism or heat to cause the air-conditioner to perform its design purposes. DAY TWO: The student will learn all about motors and how they operate. We will discuss basic motor circuits with the various diagrams. The student will understand the operation and functions of capacitors. We will cover, in detail, all of the air-conditioning electrical components, including relays, contactors, and protectors and how they work in the air conditioning circuit. At the end of Day Two, the student will be able to wire the high voltage of the air-conditioner. A hands-on lab will help the student to gain a better understanding of the electrical components of the unit. DAY THREE: We will separate the high voltage part of the unit from the low voltage portions. First, the student will learn about transformers, how they work and how to diagnose them. The low voltage circuits will be explained in detail. The student will learn about thermostats, standard color codes, low voltage wiring, and troubleshooting procedures. The student will learn how to diagnose all electrical components of the air conditioner. 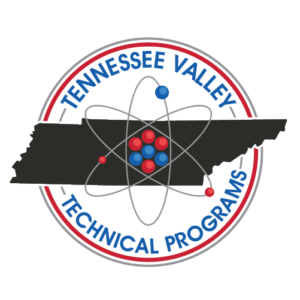 The student will perform a lab concerning the high voltage and the low voltage of the system.